John was born in the parish of Manghold on the Isle of Man in 1791. He underwent a conversion experience following a sermon preached at Union Mills by Captain Philips in 1820. Initially he joined the Wesleyan Methodists and took an active part in the leading of prayer meetings in his locality. In 1823, Kendall records that the Bolton Circuit sent a mission team to the Isle of Man. John apparently gave hospitality to the preacher John Butcher and also attended some meetings of a new class formed in Union Mills by the Primitives. As a consequence John was dismembered by the Wesleyan Society and joined fully with the Primitives. John earned his living as a cloth dresser. Within Primitive Methodists, John soon began to preach and was placed on the plan. 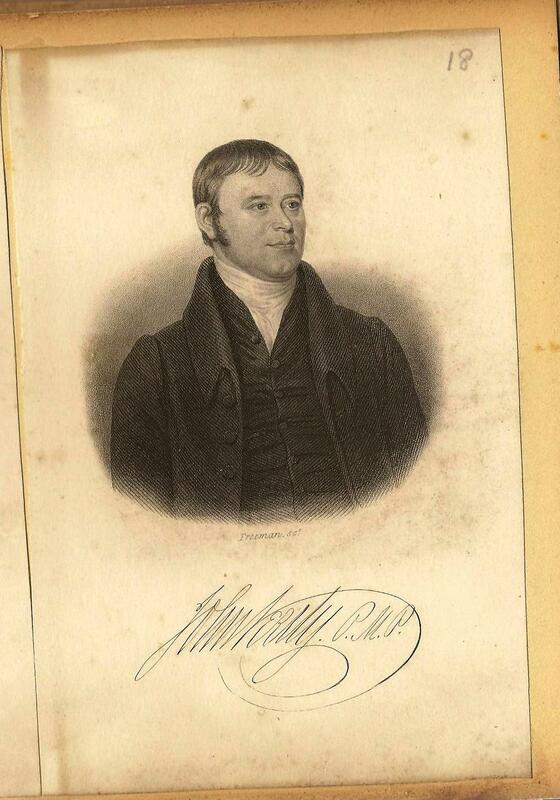 For some reason, John left the Primitive Methodist cause in 1833 and re-joined the Wesleyans. The Rechabite movement started circa 1833 in Preston promoting total abstinence from drink. Their name comes from the following passage. John Kelly was one of the founding members of the movement in the Isle of Man in July 1836. However, John appears to have rethought his stance on total abstinence in 1837 with the following report of a court case in Douglas. DEEMSTER’S COURT, DOUGLAS, JUNE 12. Little business of real interest came before the Court this day, but some which afforded a little merriment. The case to which we allude was that of John Kelly, alias the Weeping Prophet, a Methodist local preacher, residing at the Union Mills, versus John Cain, bookbinder, of Douglas The ‘reverend plaintiff’ accused the defendent with having called him a liar in the market-place of this town, but unluckily for his Reverence it came out in evidence that he himself had been the aggressor, in first using the Billingsgate term, and that the defendant had only re-turned the elegant compliment by way of retaliation. Kelly, it appeared, had been a rigid Tee-totaller, but deserted the brotherhood, assigning as a reason that he found an occasional glass a useful auxiliary to his pious labours. His Honour, after bestowing an admonitory lesson upon the devout professor of religion, dismissed the action with costs, to the no small chagrin of this uncultivated expounder of the gospel . Note: John Cain was also a well-known local preacher and leading member of the Rechabites. John, within the Wesleyan fold assisted the evangelistic work of Rev. Robert Aitken until 1842 when Rev. Aitken was recalled to England. At this point John rejoined the Primitive Methodists, where he remained until his death. Whilst having little formal education John entered Sunday School after his marriage and learned to read the scriptures in both English and the local Manx language. He was able to preach fluently in both languages and acted as an interpreter for many visiting evangelists from England. John’s wife, Elizabeth, died in 1867 leaving him to live alone. He took his final preaching appointment on 21 February 1869 and died a couple of weeks later.